Having your home properly insulated can greatly cut down energy usage. A well-insulated building stays warmer in the winter and cooler in the summer. 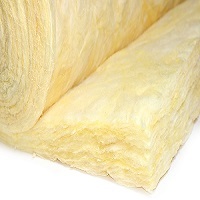 Using insulation can help you avoid costly energy spikes from running the heater or A/C. 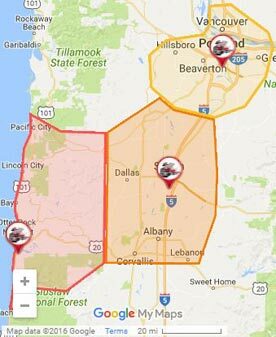 Whatever your thermal insulation needs in Portland, The Killers Crawl Space Restoration will be there for you. Thermal insulation acts a barrier between the walls of your home and the outside elements. It holds in heat so it can’t escape. Because of this, it has both a cooling and heating effect, depending on the type of weather. When outside temperatures are high and you want your house to be cool, insulation traps a significant amount of heat before it can enter and warm your property. Conversely, when it’s cold outside, the heat from within your house has trouble escaping, meaning you stay warmer. 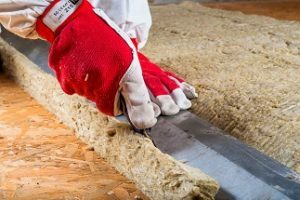 While climate regulation is a primary benefit of insulation, there are many other ways that thermal insulation can help your home as well. Adding insulation to your crawl space can stop irritating cold floors in the winter. Sealing your crawl space with insulation materials also stops air from leaking in or out of your house. This strengthens the many advantages of insulation by rigidly securing your entire home. We’re called The Killers for a reason. Because insects and sneaky rodents can access your crawl space, they can chew on or even die in your crawl space insulation. Our services include rodent removal and crawl space damage repair from raccoons or opossums. Have an insect nest down there? No problem. We’ll clean up your crawl space to keep your insulation clean and functional. Whether you need replacement of thermal insulation or insulation repair, we can help. With over 30 years of experience, we take pride in customer satisfaction with our service-first philosophy. After serving over 4000 customers with our various services, you can trust that the job will be done right.